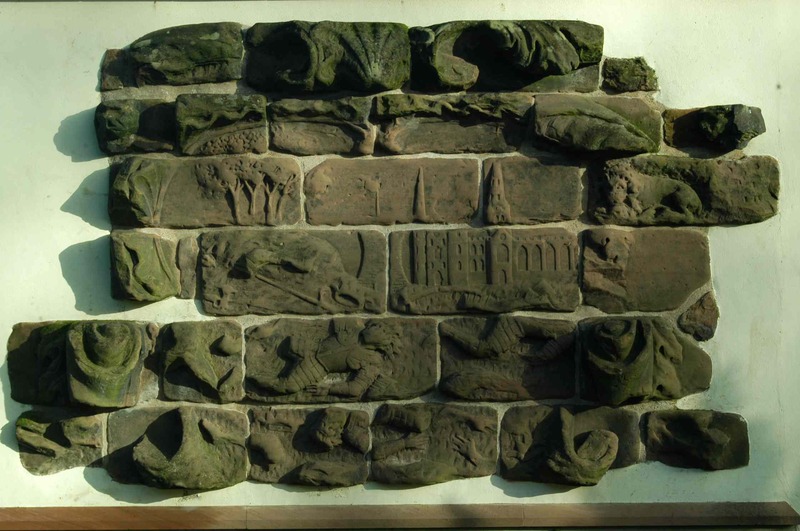 Here you can see an example of stonework in a plaque that depicts a story from 288 CE when Christian Martyrs were disputedly killed by the Romans in Lichfield. It once was situated on the front of the Guildhall in 1744, then in 1864 it was moved to a rockery into the museum gardens of Beacon Park. In 2010 it was restored and now stands on its plinth. The image is used today as the seal for Lichfield.